aromatized wine = flavored wine Notes: These are wines, like vermouth and retsina, that have been flavored, usually with herbs and spices. cooking wine Notes: You should never cook with a wine you wouldn't drink, but some "cooking wines" sold at stores violate this maxim. Avoid them and instead cook with inexpensive, but drinkable, table wines. Avoid putting wine in aluminum or iron pans for prolonged periods. 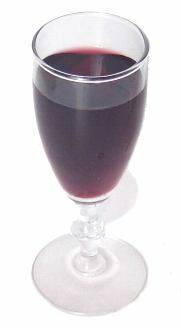 Kosher wine = Passover wine Notes: This is wine that's been made in accordance with Rabbinical law. Most people think of them as syrupy-sweet screw-top wines made with Concord grapes, but some kosher wines are now being produced that are indistinguishable from quality non-kosher wines. Unless pasteurized, a wine can only remain kosher if it's poured by an observant Jew. Bottles of pasteurized wine sport the label "mevushal." table wine = still wine Notes: Table wines are intended to be served with meals, and they're often classified by color: red, white or rosé.